This chapter considers social links formed within crowds of people, often captured digitally in social media networks, including the notions of ‘following’, ‘being followed’, ‘friends’, and ‘connections’. The kind of links within crowds are diverse. 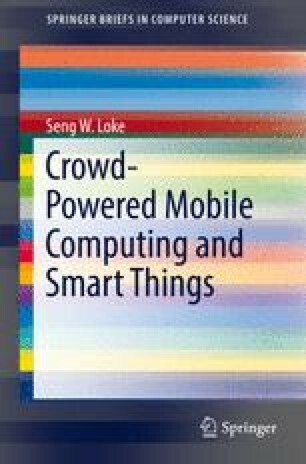 This chapter examines three ideas, the notion of favour networks within crowds, automatic social networking, and social networks for things.